Among President Duterte’s campaign promises was his pledge to adopt constitutional reforms to change the country’s unitary system into a federalism, with some powers devolved to the local governments for a more responsive government. The path to the constitutional change has been highly favourable to the President: he enjoys a super-majority support in the House and remains highly popular among the voters. Indeed, until recently, the progress looked good for the President: the 25-member constitutional consultative commission that he created through Executive Order No 10 to review the Constitution and recommend amendments to Congress, comprising 19 appointed by the President himself, approved a draft for submission to the President on July 3, 2018. The draft has since been submitted to Congress, with the House and the Senate agreeing on separate votes over the draft. Here, I look at how the draft came to be and the obstacles that may stand in the way of the President’s delivery on this promise. There are three ways to amend the Constitution: through a vote of three-fourths of the members of Congress; a constitutional convention, where the House and Senate will propose changes; and by direct petition of at least 12 percent of total registered voters, of which every legislative district has three percent signatories. All revisions must then be ratified by a majority of the votes cast between 60 and 90 days of the approval of the amendment. At the President’s insistence, the draft contains a provision that bars him and Vice President Leni Robredo from a second-term, to assure critics that he is not intent on extending his tenure in office. Critics charge that the draft, nevertheless, contains provisions that are considered highly controversial, particularly the creation of the Federal Transition Commission to oversee the political change to the federalist system. Will the President be able to fill this promise? Polls show that a majority of the voters – 67 percent – are opposed to the constitutional revision; however, 74 percent also have little or no knowledge of the current constitution. This may explain the President’s optimism that the country will eventually pass the recommended changes. It may also explain why several hundred academics, including several university presidents, have signed a statement against the constitutional assembly, in favour of more participatory process such as through a constitutional convention. Ironically, the greatest obstacle to constitutional change may be the House of Representatives. The previous house speaker, Representative Pantaleon Alvarez, had called for the postponement or even cancellation of elections in 2019 to make way for the constitutional change, in his zeal to advocate for the President’s constitutional plans. In a leadership challenge in the House, the speaker was ousted and replaced by former President and current Representative Gloria Arroyo, who was pardoned by President Duterte and seen as an strong advocate for shepherding the president’s agenda. Speaker Arroyo has led the House to develop a draft of constitutional changes that was submitted to the President on September 19, 2018. The draft, which contains provisions to extend terms limits for other elected offices, diluting the anti-dynasty provisions, and, perhaps most controversially, removes the Vice President from the line of presidential succession, is clearly different from the one submitted by the Constitutional Commission. Indeed, the Constitutional Commission has since formally written to the President to assail the House draft as “questionable” and be made public in the interest of transparency. It seems that the President’s strongest supporters, more so than other obstacles, may lead to the undoing of constitutional changes. This entry was posted in Asia, The Philippines and tagged Constitutional revisions; constitutional consultative commission; political dynasties; federalist system; transition commission; Gloria Arroyo; Pantaleon Alvarez on November 9, 2018 by Fiona Yap. Several presidents in South Korea have entered office with pledges to address the economy: former President Lee Myung-bak’s 747 economic plan; former President Park Geun-hye’s economic democratization; and current President Moon Jae-in’s “J-nomics.” The focus on the economy may seem surprising, given that the Korean economy is hardly considered a laggard by on most counts: in 2017, the per capita GDP was US $38,350, real GDP growth 3.1 percent, and unemployment at 3.7 percent. As a comparison, the OECD average per capita GDP in 2017 was US$ 42,252, GDP growth was 2.6, and unemployment was 5.77. This may sound like First World problems to many, but the economic weaknesses behind the stellar numbers is very real and may be a contributing factor to the country’s high suicide rates among youths and the aged. This piece discusses some of these weaknesses. President Moon’s “J-nomics” relies on the principle of income-led growth based on job-creation and consumption as the drivers of economic growth in the country, with the public sector spearheading this new approach. The approach was embraced for its radical departure from the trickle-down blueprint of his predecessors that relied on corporate-growth to engender jobs and lead to higher incomes. The President’s bold reorientation of the economy took a major step forward with the implementation of a 16 percent wage rise to 7,530 won ($6.60) per hour from 2018 by the Minimum Wage Commission; this was followed by a reduction in the workweek to 52 hours in July 2018. To ensure that small and medium-sized enterprises are able to meet the new wage increases, the government rolled out huge subsidies for small- and medium-sized businesses as well as the self-employed that were hardest hit by the new minimum wage policy. What are some of the economic weaknesses that this new approach is designed to address? One of the biggest problems for the Korean economy is labor market dualism. Korea has one of the highest incidence of low-paid work among the OECD countries, exceeding 20 percent, stemming from the high number of non-permanent workers in the economy, as depicted in Figure 1. The large firms – particularly the chaebols that hire more than 300 workers – pay significantly better, as Figure 2 below shows. However, they have also significantly reduced their share of the labor market, generally contracting out work to the small- and medium-sized companies or outsourcing abroad, as shown in Figure 3. This reduction is higher than has occurred in other OECD countries, as Figure 4 shows, which is partly instructive of how poorly previous policies relying on trickle-down job creation has worked. At the same time, however, the numbers above also explain why President Moon’s policies have run into problems: small- and medium enterprises are the dominant employers in the Korean economy, and they have been unable to absorb the minimum wage increases, even with the help of the government’s subsidies. Meanwhile, the 26 percent non-regular workers are not beneficiaries of the minimum wage. As a result, despite the President’s efforts, 2018 has been a challenge: unemployment rate rose from 3.8 percent in July 2018 to 4.2 percent in August; this is the highest level for the year, and the highest in the aftermath of the global financial crisis. The President’s popularity has fallen hard on the economic news, and there are signs that the increasing economic distress in the country is leading to open conflict in the President’s cabinet over the efficacy of the policy. The President has, thus far, maintained commitment to the direction of the policy, but has also signaled a willingness to temper its magnitude. Meanwhile, there have been suggestions that a more successful approach would be to address the issue from a social protection standpoint. With social protection at 10.4 percent of the GDP, Korea is among the lowest of OECD countries where the average is 21 percent of the GDP. There is clearly room for steering the economy, particularly for those most vulnerable to economic shocks, in that arena. This entry was posted in Asia, South Korea and tagged chaebols, J-nomics, labour market dualism, Moon Jae-In, unemployment on October 9, 2018 by Fiona Yap. After the early elections of last May, a period of formal cohabitation was initiated between the first partisan president (Fretilin’s chairman, Lu Olo) and a government supported by the winning coalition (Xanana’s CNRT, Taur Matan Ruak’s PLP and KHUNTO), which has an absolute majority in the House, but not of a two-thirds super majority. The president appointed Taur Matan Ruak as prime minister in June and, according to the constitution, the prime minister submitted his proposal of 42 government members. Lu Olo initially objected to 12 of those members. One case was solved by bureaucratic means, as the presidential objections related to the need to clear the proposed minister’s earlier position as deputy chief of the armed forces; two were also sidestepped when the candidates were replaced by names acceptable to the president; but as for nine others, neither the president nor the prime minister has shown signs of changing positions. Three other suggested ministers refused to be sworn in in solidarity with their vetoed colleagues, one of them (Xanana Gusmão) indicating that he preferred to stay out of government for good. At the time of writing, almost three months have elapsed and the government still has no minister for finance, health or natural resources, and is thus in a formally weak position to discharge its functions. Nonetheless, in this period, the government was still able to present some critical documents including the state budget for the current year (which had not been possible to pass due to the political crisis of 2017 that eventually led to the early elections). As things stand, no clear sign is discernible as to the solution for the impasse. It seems that formal institutions are suffering the challenge of a kind of a shadow theatre in which decisions are made outside the boundaries of the council of ministers. Angry with what he regards as a break with the platform on which the president was elected with his support, Xanana Gusmão announced last month that he would “wait another ten days” for Lu Olo to accept the government members before he would “take action” and formally accuse him of “usurpation of functions”. No action has yet been taken. The tug of war continues without a solution in sight. For the benefit of comparative purposes, the present situation calls for a discussion of the role of the president in the Timorese political system. Two aspects should be considered. First, what is the power of presidents regarding the appointment of governments? Second, what kind of protection does the constitution award to presidents against moves to challenge his authority and eventually bring him before the courts? Concluding this section, the double dependency of the government on the president and the assembly offers the head of state the competence to have a decisive word on the appointment of the prime minister and above all, of his ministers. The present position of president Lu Olo seems thus to be solidly anchored in the country’s constitution and political conventions. But what if it was not? What could be done? CRDTL devotes one full section (79) to “criminal liability and constitutional obligations” where it stipulates (in number 2) that “the President of the Republic shall be answerable before the Supreme Court of Justice for crimes committed in the exercise of his or her functions and for clear and serious violation of his or her constitutional obligations”. For a complaint to be brought before the justice, however, the process must begin in parliament, where a qualified majority of two-thirds of its members is required to allow the move to reach the Supreme Court (number 3). This means that there is a strong political rather than institutional factor at play in any process to formally accuse the president of foregoing his constitutional obligations or abuse his powers. At the moment, the president’s party, Fretilin, controls 23 of the parliament’s 65 seats and is thus in a position to block any move destined to challenge the president’s position. 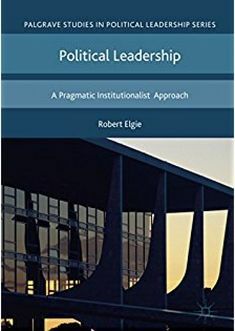 To a substantial extent, the actual presidential powers depend on the political conditions of the moment as on the institutional definition of his competences. The constitutional text defines very broad limits to the presidential powers, which will be more or less used according to the political conjuncture. Timor-Leste had three consecutive “independent” presidents, not affiliated with any political party, which rendered the articulation between the president and the assembly more open to variable geometries, and prevented the systematic opposition between presidential and parliamentary majorities. Now, with the first partisan president, things are significantly different. Even if one cannot presume that Fretilin and the other parties not represented in the executive will always vote against the government (as the recent vote on the state budget showed, the government which controls 34 seats obtained 42 votes in favour, several abstentions and only 9 votes against – the opposition parties having failed to adopt a common position and showing internal splits in the final vote), the likelihood that they can use their capacity to bloc any vote requiring qualified majority is strong. This circumstance contributes to reinforce the presidential influence, as he disposes of veto powers over every law or decree-law (CRDTL section 88). In the case of decree-laws, the president’s word is final; in the case of parliamentary laws, a qualified majority is required to overturn those that address fundamental issues (as stipulated in section 95), including budgetary issues as well as the fundamental laws of social security, health, education, defence and security, electoral laws, and more. That’s to say: an absolute majority in parliament does not entail a free hand in the definition of policies, as the president may force a qualified majority in order to allow for the implementation of the government’s program. In this light, the comparative strength of the president is a key element in the Timorese political landscape. In this context, president Lu Olo is comfortable in his position, and his powers, articulated with his link to a party that controls more than one third of the seats in the House, are a serious challenge to the government’s simple majority. Certainly not by chance, several voices in Dili are predicting that Xanana Gusmão, leader of the largest party in the government coalition, would welcome the dissolution of parliament once again in order to try and take away from Fretilin two seats that would substantially change the nature of the presidential room for intervention. However, this would be a high risk strategy that may not be sympathetic to the prime minister, who has shown signs of “understanding” for the presidential opposition to cabinet members proposed by Xanana’s party. In any case, this would only be possible after six months have elapsed from the last election in early May. Timor-Leste is thus living under uncertainty, and the economic performance has echoed the adverse conditions with a significant fall in its growth rate and a paralysis of most of the non-oil sector – and this economic slow down is not conducive to easy electoral victories. The state budget for 2018 was drawn to reverse the situation, although its effect will be limited in the short term (it has still not been approved by the president); and the 2019 budget will probably be in the same vein – in spite of being drawn by a government that has no finance minister. The one fact that has emerged with some accrued stability is the resilience of the presidency and its critical role in the politics of the country. How much longer will the president accept that the government continues to work in the absence of critical ministers before he can argue that the regular functioning of institutions is not being met, and that he may step up his intervention? This entry was posted in Asia, Timor-Leste and tagged Cohabitation, Timor-Leste on September 17, 2018 by Rui Feijo. In brief: Lu Olo made it plainly clear his would be a very active presidency not shying away from confrontations when he would feel it necessary to intervene. He was comforted by the fact that a substantial number of cases to overturn a presidential veto require a two-thirds majority – and his party had more than one third of the parliamentary seats. Cohabitation was emerging under the sign of “belligerent democracy”. A sign of this general attitude was Fretilin´s decision to threaten with expulsion any militant who might be tempted to accept a place in government in a “personal and technical capacity” as had been current in the country for over a decade. A new era is definitively making itself present, eventually making political decisions more transparent and in line with normal expectations on parties’ behaviour. The first serious confrontation occurred with the formation of the VIII Constitutional Government. Contrary to early expectations (based on declarations in the aftermath of the elections), Xanana declined to assume the premiership, entrusting the job to Taur Matan Ruak (TMR), leader of a much smaller party (8 seats versus 21), and reserved for himself the role of “state minister councillor to the prime minister”. TMR was sworn in as prime minister and proposed to the president a cabinet with 41 full ministers and junior ministers. Lu Olo rejected 12 of those names. One of them was personally close to the new prime-minister, and the refusal was explained on strict bureaucratic terms: as he was serving in the high command of the armed forces, he would need his resignation from the previous post to go through the necessary legal steps. In due course, he was appointed to serve as minister for defence. As for the other 11 – all of whom belonged to Xanana’s CNRT, the only party in the coalition with government experience – the reason given was that two of them had not “the right moral profile” and the others were supposedly under investigation by the judicial authorities on corruption charges. Although the president denied that he had vetoed names, but only “called the attention of the prime minister” to situations that might harm the public opinion on the government, he also claimed he “was intent on reinforcing the judicial system” by not granting immunity to some politicians that had, in the past, benefitted from their status to avoid immediate prosecution (an allegation directed at Xanana who, as prime minister, had asked parliament to keep some of his ministers under conditions of immunity till the end of their terms). Regarding the use of his powers, he said: “The choice of ministers belongs to the majority in the House. The president may not say that this one is more capable than the other. He has to wait and see, only later can he interfere”. But at some point, he can actually interfere by refusing to appoint ministers. Lu Olo’s interference in the composition of government generated a first moment of tension within the coalition. The prime minister seems to have accepted the president’s opposition to empowering individuals tainted with corruption charges in a country where this is a critical issue as constitutionally and politically warranted, and showed signs of pressing his coalition partner to propose new names. TMR was also prisoner of his own public rejection of a minister when the V Government was formed soon after his election for the presidency back in 2012, and thus very limited in his capacity to deny Lu Olo the power to reject some of his ministers. Xanana, on the other hand, received the news as a personal attack, and reacted angrily: he and few other ministers from his party failed to take the oath, leaving the government with sensitive portfolios without their ministers. Besides the strong portfolio entrusted to Xanana, the minister for finances is among those remaining vacant due to presidential opposition. In parallel, he mounted an attack on the president. On the one hand, he claimed he had received undue payments from the state related to his presidential campaign – an accusation that failed to gain traction; on the other, he claimed that not only was the president disregarding the principle of presumption of innocence, but that he had acted in a completely different manner when Mari Alkatiri presented the composition of the VII Government in which four members were also under judicial investigation. He also made public statements from judicial authorities allegedly denying the basis for the president’s attitude. The tension between the president of the republic and the leader of the winning coalition is unprecedented. It rests to be seen whether Lu Olo and his party are not attempting a political move to break the coalition between Xanana and TMR, who appears to be more sensitive to the president’s arguments on corruption, and suggest a change of horses: Fretilin might be prepared to switch the leadership of the opposition with CNRT. In Dili, voices are heard calling for yet another dissolution of parliament and fresh elections, which in any case could not be decided before mid-November to be held in 2019. The present situation in Timor-Leste has revealed that presidential powers, even though they may be dormant for a while, do not lapse by virtue of not being exercised. And presidential powers in the country are superior to what much of the literature has argued so far. Critically, the dual responsibility of the government before the parliament and the president of the republic (stated in section 107 of the Constitution), and the ways in which this prescription can legitimately be understood by a proactive president, require new consideration. Ultimately, the scope of effective powers of the president may be regarded as the reason for the current instability, much as the argument has been made for president-parliamentary systems. The fact that Lu Olo seems to be adopting a proactive role should not be isolated from the fact that he is the first president who discharges his functions at the same time that he holds a high position in a political party – Fretilin – which is not represented in TMR’s government. The effective experience of cohabitation in its formal sense is a novelty, as the first three presidents were “independent”. Their terms were comparably more stable that the early part of Lu Olo’s term (disregarding the case of the 2006 crisis which had deeper roots), adding weight to the suggestion that the political wisdom of choosing non-partisan presidents reduced the prospects and the scope of confrontation that the constitutional model of dual responsibility of the executive might facilitate. With the decision to move away from the legacy of the previous experience, Timor-Leste is now confronted with a much more unstable situation. This entry was posted in Asia, Timor-Leste and tagged Cohabitation, Timor-Leste on July 25, 2018 by Rui Feijo. Local and by-elections were held on June 13, 2018. 12 parliamentary seats were up for grabs, in addition to 17 mayoral and provincial governor positions, and 4,016 local administrative, legislative and educational posts. Exit polls show that the ruling Democratic Party (DP) has swept the elections: it has taken 11 of the 12 by-elections and 14 of the 17 local seats. The largest opposition party, the Liberty Korea Party (LKP) has been handed a significant set-back: it is expected to take only one of the by-election seats, and two of the local election races. This year’s electoral contest is closely-watched as a harbinger of President Moon’s ability to extend the momentum of change that brought him into office more than a year ago and convert his high presidential popularity into electoral success for his party, the DP. It is also seen as a signal the opposition conservative LKP’s ability to weather the significant political setbacks from the impeachment and subsequent conviction of former President Park Geun-hye on corruption and abuse of power charges on April 6, 2018, and the indictment of former President Lee Myung-bak on April 10, 2018, for 16 counts of embezzlement, corruption, and abuse of power. These results are a strong endorsement of President Moon, who has had a tough time pushing his agenda against the large legislative opposition led by the LKP. President Moon promised a “major shift” in policies when he took office, and he has delivered on, arguably, the most spotlighted and highly-profiled issue of international interest for the year: the President brought North Korea and the United States together at the negotiations table in Singapore on June 12, 2018. The effort towards and accomplishment of bringing the two mercurial heads of government to discuss peace has seen President Moon’s approval ratings remain at unprecedented levels – exceeding high 70s – in the second year in office. Some of this success has brushed off on the ruling DP: it is enjoying approvals exceeding 50 percent amid falling approvals for the other parties in the legislature. These numbers bode well for the DP going into the elections, and the results have supported expectations. Relations in the Korean peninsula will likely remain in the news for some time to come, and may continue to generate approvals for the President and the DP. This will be useful, given that the President’s other initiatives have not been as stellar. In particular, President Moon’s effort to realize constitutional revisions died in the legislature, while his push for a income-led growth in the country has been resisted by corporations, and small- and medium enterprises. Talks of constitutional revision have been ongoing since the promulgation of the 1987 Constitution in South Korea; despite the frequency, constitutional revisions did not progress beyond discussions. The clamour for constitutional revision likely hit a peak with former President Park Geun-hye’s impeachment, and polls in September 2017 report that 78.4 percent agreed that the referendum on constitutional revisions should be held in conjunction with the June 2018 elections. President Moon pushed the legislature on the issue but was stymied by the LDP in the legislature. Indeed, when the legislature failed to develop revisions, President Moon submitted a constitutional revision bill to the legislature on March 26, 2018. The revisions, developed by a constitutional committee, included decentralization of government and a two-term limited presidency. However, opposition parties boycotted the bill: only 114 legislators were present for the session, far short of the 192 needed to pass, thus effectively killing the bill. Given popular demand for constitutional revisions, the election results may be a signal for how voters view the resistance by the opposition parties. Another important initiative that the President has pushed is the wage-led economic growth model. Following on this, in July 2017, the Minimum Wage Commission announced a 16 percent wage rise to 7,530 won ($6.60) per hour from 2018, with the possibility of increasing it to 10,000 won per hour by 2020. To ensure that small and medium-sized enterprises are able to meet the new wage increases, as well as to fund the new wage increases and job creation policies, the President called for new taxes. Despite these efforts, youth unemployment remains high; meanwhile, under pressure by businesses and corporations, the National Assembly and the cabinet have adopted revisions to the minimum wage bill so that calculation of minimum wage includes bonuses and benefits, including health benefits. While employers have welcomed the revisions, labor groups argue that these inclusions will effectively offset the new minimum wage policies and have called on the President to veto the bill. The by-election and local election results are a clear endorsement for President Moon. Much can happen in the two years leading to the next general elections, but the public support, new electoral wins, and the LDP’s losses may pave the way for legislative support of the President’s policies. This entry was posted in Asia, South Korea and tagged Democratic Party, elections, Liberty Korea Party, President Moon Jae-in, South Korea on June 14, 2018 by Fiona Yap. In March 2017, breaking with the established conventions following the first three elections in independent Timor-Leste (2002, 2007, 2012), voters returned a president, Francisco Guterres (known as Lú-Olo), who was affiliated with a political party – Fretilin. Guterres was chairman of the party, which is an honorary position rather than an executive one, reserved for the secretary-general. Although President Guterres claimed in his inauguration speech that he would serve as “the president of all the Timorese”, like his predecessors, he did not relinquish his position in his party. In the July 2017 legislative elections, the president’s party, which had campaigned for the continuation of a broad coalition which included all parliamentary parties to date, topped the poll by a mere 1,000 votes over the country’s historic leader Xanana Gusmão’s CNRT party. Surprisingly, the parties that had created the outgoing “Government of National Inclusion” could not agree to continue it and Lú-Olo appointed the first minority government, composed of Fretilin and Partido Democrático / Democratic Party (PD), who had the support of only 30 of the House 65 seats. The VII Constitutional Government failed to secure its investiture in the National Parliament, and after several months of political confrontation (see my post of January 30), fresh elections were called for 12 May 2018. During this period, Lú-Olo sided openly with his party – first, trying to set up a minority government of which there was no previous experience in Timor-Leste; then, keeping it in power as a caretaker government (i.e., not fully invested) for a long period; and finally, denying the opposition that had formed a majority coalition a chance to form a government, and dissolving the parliament. These were high stakes, and the political status of the president became dependent on the voters’ decisions. On May 12, voters turned out in very high numbers (officially over 80% voted). Fretilin gained votes, going from 29.7 to 34.2 per cent, but could not improve on its 23 seats. Its ally, PD, suffered a loss from 9.8 to 8 per cent, and reduced its representation from 7 to 5 MPs. The combined vote of the member parties of the Aliança de Mudança para o Progresso / Alliance for a Developmental Change (AMP) increased 46.5 to 49.6 percent, losing one seat but retaining an overall majority of 34. The remaining three seats were won by another coalition of smaller parties, which polled 5.5 per cent. The fact that the number of parties/coalitions on the ballot paper in 2018 fell from 22 to just 8 allowed a group of 4 smaller parties running together to reach the 4% threshold for election. The percentage of votes gained by parties that failed to secure a seat fell from 14.1 to just 6.7 per cent. This had an impact in the overall distribution of seats, and account for why an increase in the vote did not translate into a comparable gain of seats both for Fretilin and AMP. The campaign was conducted with high passion. Few incidents were registered, though, and international observers returned the verdict of a “free and fair” election. However, a few days after results were officially proclaimed, Fretilin filed a protest with the Court of Appeals, claiming to have proof of “electoral crimes”. This protest may delay the inauguration of the new parliament, and is testimony to the high level of political confrontation that is currently marking the situation in Dili. Xanana Gusmão, who was president from 2002 to 2007, prime minister from 2007 to 2015, and minister in the “Government of National Inclusion” (2015-2017) is scheduled to return as prime minister of the VIII Constitutional Government. At the time of writing, it is not clear whether this government will be based solely on the three parties that constitute the AMP (Xanana’s CNRT; the previous president Taur Matan Ruak’s Partido da Libertação do Povo / People’s Liberation Party (PLP), and KHUNTO), or whether it will be willing to enlarge its support base in parliament. Fretilin assumed it had lost and would become an opposition party. PD is “considering its position”, but is not certain of being offered a position in government. The same holds for the coalition that secured three seats. In any case, Fretlin with its 23 seats is capable of denying any government the two-thirds majority required to eventually overturn any presidential vetoes (namely on the budget and on basic legislation on education, health and social security, as well as all the items contemplated in section 95 of the constitution). President Lú-Olo addressed this issue on the occasion of the first anniversary of his election (and the sixteenth of the proclamation on independence), recalling that he had sworn to be faithful to the constitution and exercise the full range of powers invested in him. Moreover, he declared that an overall majority may result in the formation of a new government, but that he would not grant the government a “a blank cheque”. Rather, the government would have to comply with “national interests” of which the president is supposed to be the guarantor and interpreter. In a way, Lú-Olo was responding to Xanana and Taur Matan Ruak who said that “the president must act as the leader of the nation and not as the chairman of Fretilin”. Lú-Olo may be willing to explore the full scope of presidential powers on a scale never witnessed before, while respecting the letter of the constitution. Xanana is known to favour a generational turnover, and for a long time he was the main force behind the idea of a “Government of National Inclusion”. It is uncertain how he will face his new task as prime minister, whether as one that will engage him for the duration of the legislature, or as a sort of interim solution before the re-composition of political forces has the chance to settle down in a more permanent form. In fact, one of the major features of these elections was the return to the forefront of historical leaders (the Gerasaun Tuan, the old generation) such as Mari Alkatiri and José Ramos-Horta (who campaigned for Fretilin) and Xanana or Taur Matan Ruak (although the letter is perhaps a bridge to the Gerasaun Foun, the younger generation of people who became adults under the Indonesian occupation). Personalities are still powerful political forces, and parties tend to play a secondary role. This makes the political situation less transparent, as the mood among those historical leaders tends to float significantly. Unless a new, unexpected development takes place, the stage is set for the first formal cohabitation between a president who is member of a political party and is willing to use the full breadth of his constitutional powers, and a prime minister who heads a government in which the president’s party is not present – moreover, a government which considers the president’s party to be the leader of the opposition. The scars of the president’s attitude during the period following the previous elections, when he sided openly with his party and made no openings to the majority opposition are still visible. Lú-Olo played a high-risk game, and electors did not support his view that Fretilin should return to lead the government. Developments after the votes were counted suggest that cohabitation will entail some degree of friction between the president and the new government. The fact that Taur Matan Ruak while serving as president vetoed a budget in 2015, and has kept a critical view of the orientation followed by the “Government of National Inclusion” in which Fretilin discharged critical functions, raises questions as to the platform that will sustain the new government. It is likely to produce a budget that Fretilin will oppose. A major test of the cohabitation between president and government may not be too far away, as the political crisis of last year prevented the approval of the budget for 2018 and this is now a top priority in the country. For all those who follow the debate on semi-presidentialism and its varieties, and who are interested in the study of presidential power, Timor-Leste is likely to be a crucial case in the coming years. This entry was posted in Asia, Timor-Leste and tagged Cohabitation, parliamentary elections, Timor-Leste on May 22, 2018 by Robert Elgie.